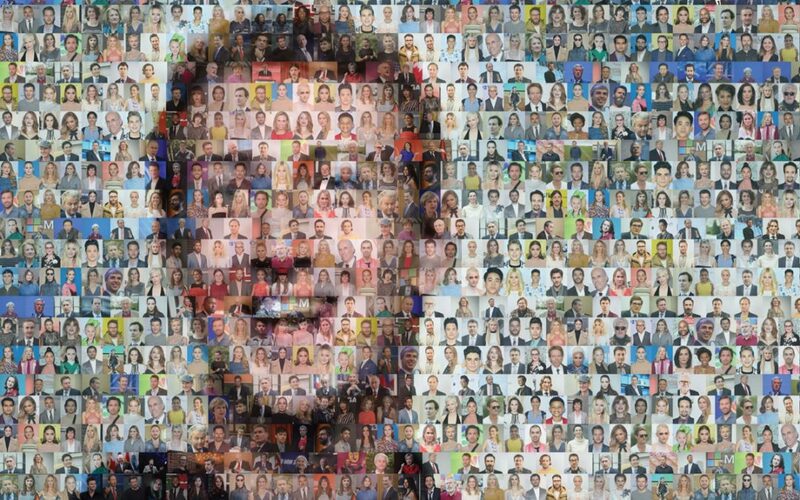 The mosaic of Mark Zuckerberg is made up of around 1,000 photographs and was specially produced for the FT by London-based visual artist Helen Marshall. The process by which collective images become a single image is described by Marshall as a “scientific experiment” but also an “intuitive process”. After digitally hand-painting her base image – in this case of the Facebook founder – Marshall gathers more images, anywhere up to 20,000, which she whittles down and edits individually. She then feeds her selected images into a computer, and a mathematical algorithm arranges the images to depict her base image. The end result is “always a surprise”.